You Could Win in Week 2! Week 1 winners: Monday just got a little brighter for the two winners of our Week 1 Summer Savings Giveaway! Congratulations to Dean McKinnon and Valerie Lemoine! Dean and Valerie each won a $25 Amazon gift card. Please private message our Facebook page to claim your prize if you haven't already. Thanks to everyone who participated in Week 1 - We're looking forward to two more winners in Week 2! How to Enter: If you're already a subscriber - great! - you've entered the contest. If you're not, subscribe to our daily newsletter, here. You'll receive alerts on the hottest free samples, coupons and deals, PLUS details for our giveaways - right to your inbox! On July 18, two subscribers will be selected at random to receive one $25 Amazon gift card each. Winners will be announced on MySavings.com and in our newsletter. 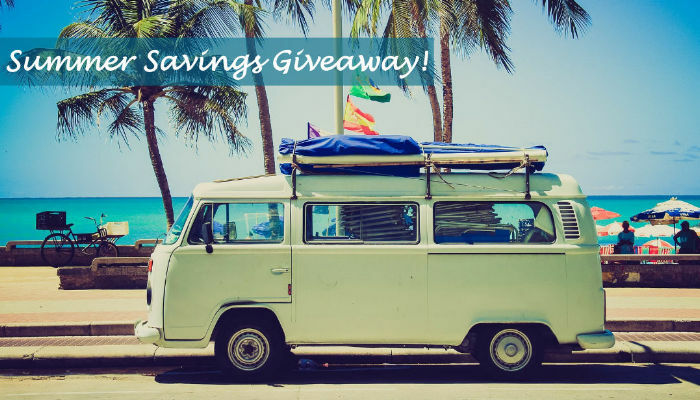 What are Summer Savings Giveaways? 1) Subscribe to our newsletter and like our Facebook page. 2) Watch for weekly announcements to learn how you can enter for a chance to win!